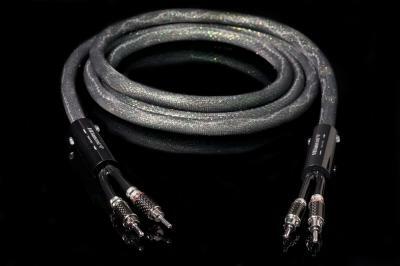 Diamond 5 : New cable to proposed variable geometry to a popular price. Exclusive technology 4 VRC (4 times cooked copper - no other constructor uses this exclusive working), bananas to expansion. The focusing, dynamics, the precision of the details joined to a new construction of copper of it makes the new one best buy in this range. Spectacular Design designed by studio Ciobotaru Design. Technical characteristics: External jacket mm. 14 ; Number of Cond. 6 ; Cond. Copper (4VRC); Capacity max. 75 Pf/m. ; Conductor Resistance: 7,98 Ohm/km.